It's the time of year to draw up 2010's "best" and "worst" lists. 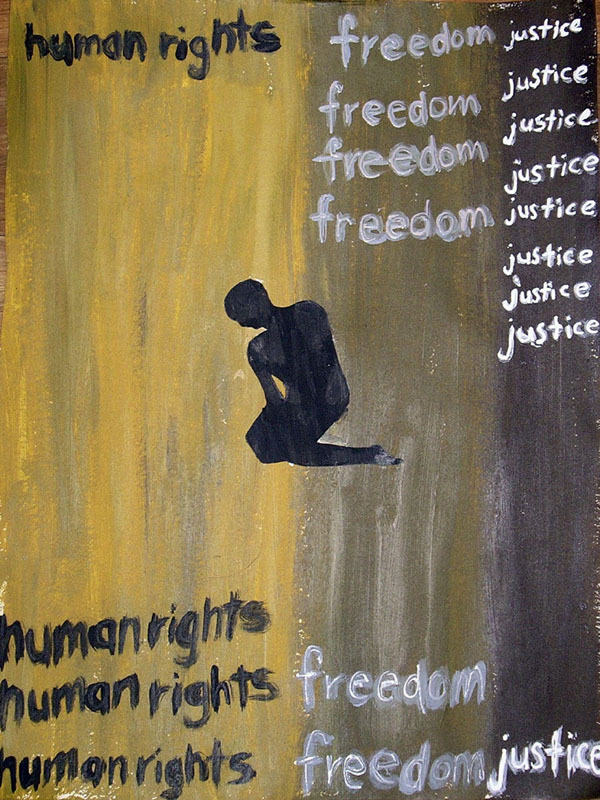 When it comes to human rights, that's pretty easy. The repudiation of "Don't Ask, Don't Tell" would be on the on the credit side; the continued ravishing of civilians, especially women, in Congo on the debit; and some events right in the middle: Charter 08 author Liu Xiabao was awarded the Nobel Peace Prize, sure enough, but Liu Xiabao still languishes in a Chinese prison. What is far trickier is to spot future trends. Calvin Coolidge once peered into his crystal ball and offered this brave prognostication: "When people are out of work, unemployment will result." Similarly, it is safe to assume that the Chinese will continue to restrict freedoms; that the United States will continue to employ the death penalty; and that some strongman somewhere will steal an election. 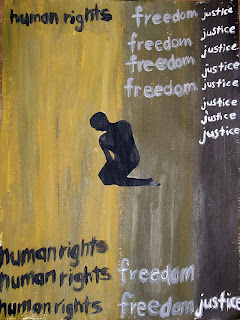 Perhaps the more meaningful course is simply to identify those human rights stories to watch in 2011. How these challenges are resolved will tell us much about where human rights are going. Will Laurent Gbago survive? Africa, long notorious for allowing corruption and brute force to thwart the popular will in elections, has seen a few positive signs in recent years that norms may be shifting. Ellen Sirleaf Johnson's election in Liberia in 2005; the surprisingly peaceful adoption of a new Constitution in Kenya last summer and recent closely contested elections in Tanzania and Guinea have fueled the hope that the continent may be looking with greater favor on legitimate democracy. But now comes Cote d'Ivoire's Laurent Gbago, the clear loser in the recent presidential election there, refusing to vacate his office. The international community has unanimously called on Gbago to step down and the Economic Community of West African States (ECOWAS) has even threatened military intervention. If Gbago survives or the country devolves once again into civil war, it will send an unmistakable signal that, despite President Obama's calls for Africans to take responsibility for good governance, that message has not yet been widely adopted. Robert Mugabe, among others, will be taking note. Will Sudan stay "peaceful?" In January south Sudan will almost certainly vote to secede from the north. The last civil war in Sudan cost 2.5 million lives and helped generate the genocide in Darfur. Relative calm has prevailed recently in Darfur and the south but secession could prompt the government in Khartoum to reinstitute its reign of terror in both places. The international community must make clear that that is not an option. Will the ICC convict? No development in the human rights world over the past decade has held greater promise than the creation of the International Criminal Court (ICC). But thus far the Court has failed to convict any of those it has indicted and, what's worse, has been characterized by chaotic administration and sloppy prosecutions. The stakes are enormous: if the ICC is discredited, the best hope for a way to hold tyrants to account for human rights crimes will be lost. The ICC's critics will be delighted. So will the tyrants. Will Medvedev prevail? With the murders of journalist Anna Politovskaya; human rights lawyer Stanislav Markelov; Chechen human rights activist Natalya Estemirova and many others like them having gone unsolved in Russia, profound questions have arisen as to whether the rule of law carries any meaning there. President Dmitry Medvedev has spoken frequently of the need for an independent judiciary, less concentrated power; and more competitive elections; he even vetoed a proposed law that would have restricted antigovernment demonstrations. But until those responsible for attacks on human rights defenders are brought to justice, his sentiments, benign as they appear, can only be interpreted as reflecting duplicity or powerlessness. If the former, Medvedev deserves to be replaced when his term of office ends in 2012; if the latter, he will be. Will Aung San Suu Kyi stay free? There is no greater human rights heroine in the world today than the leader of the democracy movement in Burma (Myanmar). Suu Kyi is currently engaged in a complicated chess game with the Burmese generals and some of her own supporters to determine the best strategy to employ against Southeast Asia's most brutal regime. She has, for instance, recently rolled back her call for sanctions against the state. The stakes are high -- not just her freedom but Burma's too. Lots of other stories deserve attention too: Will Venezuela slip further into autocracy? Will the US ever figure out what to do with the Guantanamo prisoners? But how these five play out will have profound implications for the future of human rights and, not incidentally, for tens of millions of people. Stay tuned.